Simpson's celebrate 300th episode3 this Sunday and also on Friday of this week the D'ohnuts awards only on SKY ONE. Here you can post news about the Simpsons behid the scenes and Specials, pictures pre-released anything other that Dvd Simpsons. 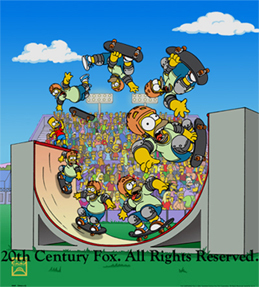 This is one picture of Homer found by me on one of the Simpson websites. Plus some news one the new Wave 13.